Send them the sweetest thing you can think of for birthdays, special holidays, or just because! This Old-Fashioned Pecan Pie is just the thing to hit their sweet spot. 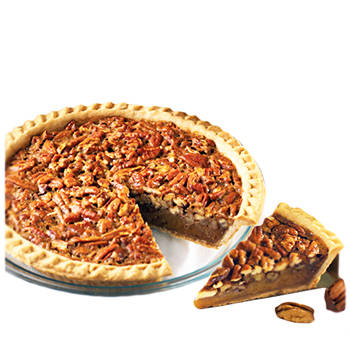 The finest ingredients, light and buttery crust, and tons of pecans combine to create a Southern favorite that's as a beautiful as it is delicious. You'll want to share To Die For Pecan Pie with everyone on your list no matter the occasion. The pie is a 9 inch, deep dish size, serves 8 - 10 people.